Welcome to David Cai's homepage! I am currently in the M.B.A program of Stanford Graduate School of Business, reflecting on my life and planning for the next adventure. I was an experienced AI software engineer at Google, working at the intersection of computer vision technologies and Google products. I have been working on web scale image annotation using deep learning, which is a main component of the search and organization functions of the Google Photos. I have also been developing the state-of-the-art image search and retrieval technologies that process hundreds of billions of images for Google Image Search, Search by Image, and Cloud Vision API. Before M.B.A I also briefly worked at GSR Ventures Palo Alto office with Richard Lim, focusing on investments of early stage AI companies. I hold 7 US patents on web-scale computer vision and machine learning systems and have authored of a number of top-tier peer-reviewed scientific papers. I also won the Best Student Paper Award at the British Machine Vision Conference in 2010. In 2017, I was recognized by USCIS as an "outstanding researcher with extroadinary abilities" for my contribution in the field of computer vision and machine learning. I received my B.Eng in EE from Tsinghua University and Master degree in CS from Georgia Institute of Technology. My research advisor is Professor Jame M.Rehg at Georgia Tech. My interests are computer vision, machine learning, and multimedia. My past research included object tracking, face/object detection and recognition, image retrieval/annotation. 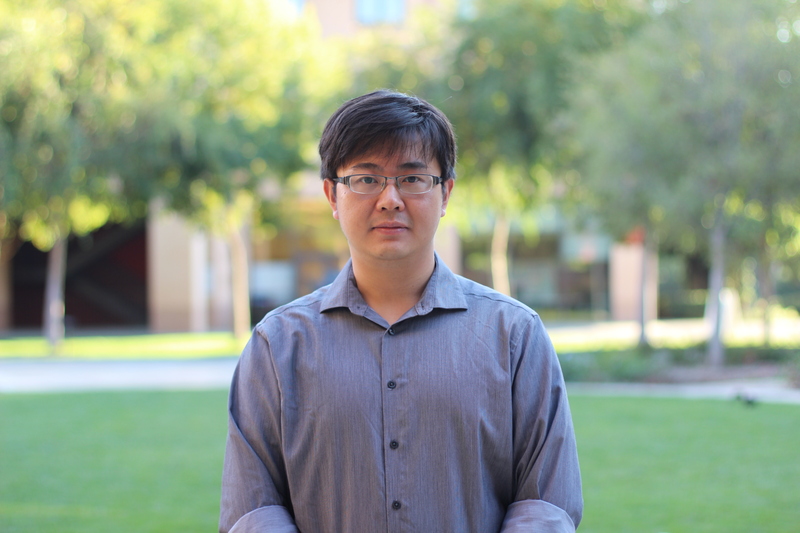 I also interned in Google on large scale image search, visual browsing and video object segmentation during those years, in close collaboration with Kevin Jing, Henry Rowley and Rahul Sukthankar. I love technology and enjoy using them to make people's life better. It is for this reason that I co-founded VisualGraph, a cloud-based visual shopping platform in 2012. While there I developed computer vision modules for visual search engine. It was acquired by Pinterest in late 2013. I believe everyone can do something dazzling as long as you have ambition, big vision, execution and persistence. I love building business that innovates at the intersection of creative technology, excellent product, and sustained business model. In my free time I enjoy reading books and watching NBA games (Rockets fan for more than a decade). I also do some trading/investing mainly on US stocks. I used to be a pure O'Neil style investor but now I also focus more on deep value analysis. I really enjoy doing research on both public and private companies. Their ups and downs could provide tremendous business insights for me. I believe in the investing precision is much more important than recall, and the blind diversification is the mother of mediocrity. 2017.9 I joined Stanford GSB's M.B.A program. 2017.8 U.S. Patent 15/491,951 "Object based image based search" has been granted. 2017.5 I joined GSR Ventures in Palo Alto. 2015.5 The new Google Photos launched in Google I/O. 2013.12 VisualGraph was acquired by Pinterest. 2013.11 I joined Google as a Software Engineer. 2013.9 One paper accepted by TMM, one paper accepted by ICCV 2013. 2013.1 I co-founded VisualGraph and worked as an engineer. 2012.11 I will be on leave from my PhD program during academic year 2013. 2012.1 One paper accepted by IJCV. 2011.6 One paper accepted by ICCV 2011.